Workshop and presentation with Tori Wranes, Samdani Seminars 2015. Courtesy of the Samdani Art Foundation. 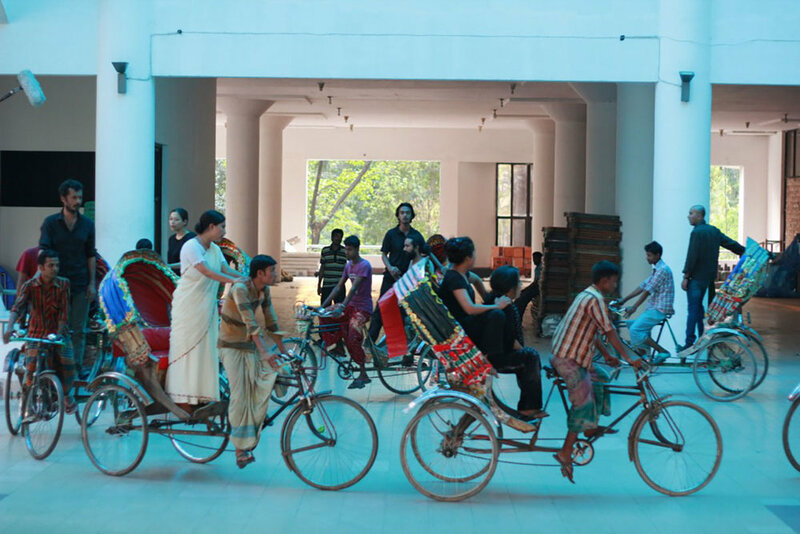 Leading Norwegian artist Tori Wranes, who has performed at the Sydney Biennial and Performa in New York, along with her assistant Gustav Gunvaldsen, conducted one day workshop with the 15 participant artists using 8 rikshaws. 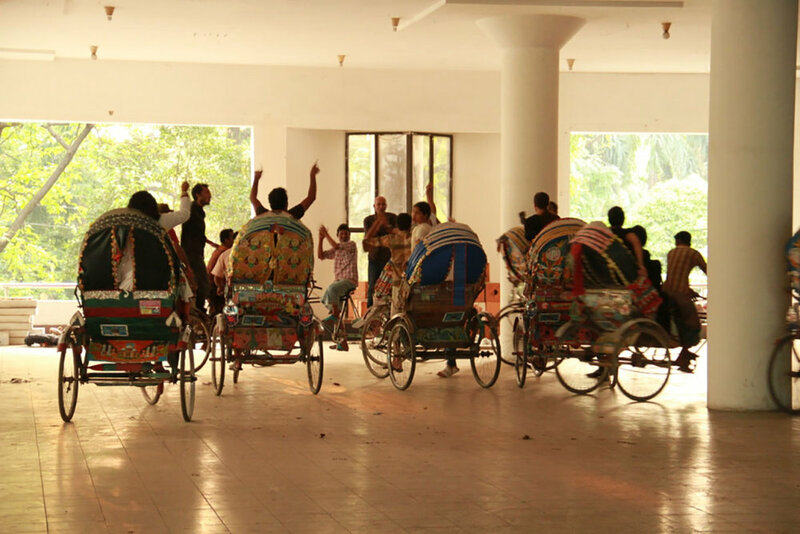 Tori and her group created a wonderful ballet riding rikshaws in the South Plaza of Shilpakala Academy. She also gave her artist presentation during the closing ceremony on 8th.